The flight landed safely at Shannon Airport after almost an hour of flying. The airline said passengers would be flown onwards on the next available flight. AN AER LINGUS flight from Dublin to Los Angeles has landed at Shannon Airport after it declared a mid-air emergency. Flight EI-145 left Dublin at 3.39 pm this afternoon but shortly after its take-off the crew reported a technical fault and a decision was taken to land at Shannon. The plane was then flown in a circular pattern over the Shannon Estuary to burn fuel before the plane landed safely at Shannon Airport at 4.36 pm. Emergency services from the airport and other local crews were on hand as the plane landed but they were not required. The plane was carrying 252 passengers and a crew of 11. The plane in question was an Airbus A330. Aer Lingus has said that the passengers will be brought to Los Angeles on the next available flight. Email “Aer Lingus flight from Dublin to LA makes emergency landing after fault detected ”. 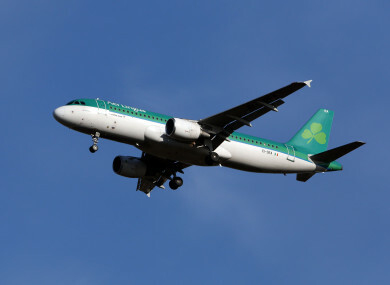 Feedback on “Aer Lingus flight from Dublin to LA makes emergency landing after fault detected ”.